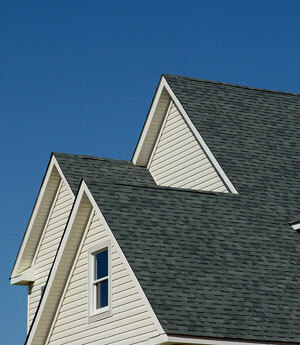 S&L Roofing is South Orange County's best value for residential roof inspection, maintenance, and repair services. We are experts at pinpointing the source of San Clemente home roof issues, and resolving them in the most cost-effective, efficient manner possible for our valued clients. We perform our affordable maintenance and repair services on all types of roofing systems, including: wood shingle and shake roofs, clay and cement tile roofs, composition shingle roofs, metal roofing systems, and flat roof roofing systems. And after over 25 years of experience in the residential roofing industry, we have dealt with any and all issues that can arise in these roofing systems, successfully resolving these problems for 1000's of satisfied homeowners during our time in business. At S&L Roofing, we are committed to preserving the long-term health and functionality of our San Clemente clients' residential roofing systems, and perform all of our maintenance and repair services keeping this vision in mind. We are excellent craftsmen, and carefully design and precision-install all of the roofing repairs we execute to blend seamlessly with the existing roof, carefully matching the existing roofing material and existing design layout. In addition, we are small roof repair specialists, and no roof repair is too small for our skilled professionals. 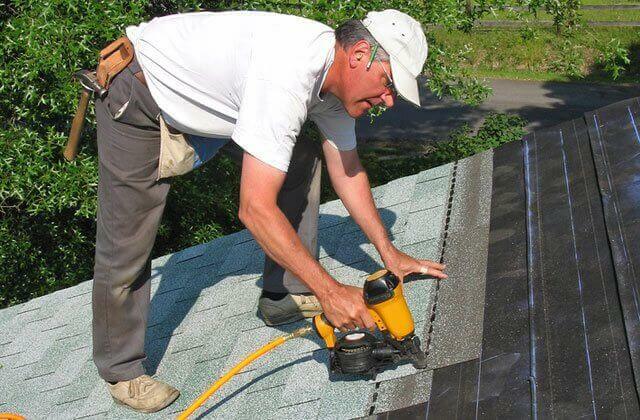 Contact the residential roof maintenance and repair experts at S&L Roofing today. We provide our affordable, exceptional quality roofing services to San Clemente and all of South Orange County, and provide free onsite repair estimates throughout our service area. S&L Roofing provides roof repairs on all types of San Clemente residential roofing systems, and has over 25 years of experience in the roofing industry. Wood shake roofs have an unmatched traditional appeal, but are highly susceptible to the weathering effects of the elements. They gradually disintegrate over time as a result of sun, wind, and rain exposure, and when this happens, the paper underlayment is exposed, giving roof leaks the opportunity to develop. The newer wood shakes are treated to be fireproof, and have a Class B fire rating. And while this fire treatment is wonderful in terms of fire resistance, in actuality, it makes these wood shakes weather even faster than their older, non- fireproof counterparts, detracting from the San Clemente roof's potential lifespan. 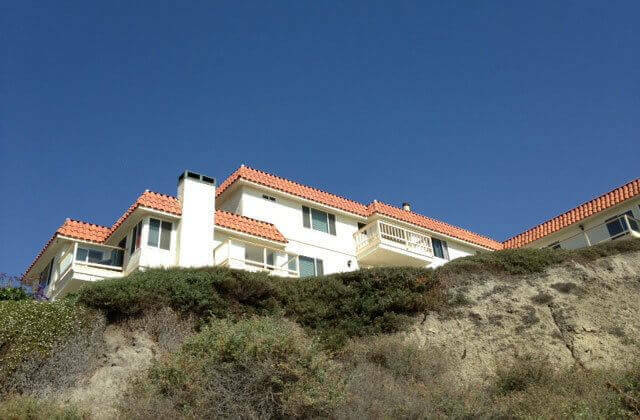 San Clemente tile roofs are often installed somewhat haphazardly by roofers, and are not fastened properly to the roof deck in many areas. Clay or cement roof tiles which are not nailed securely to the roof deck are subject to tile slippage, which exposes the felt underlying the tile layer. This exposed felt then contributes to the development of roof leaks. In addition, tile mortar can also degrade and crack over time, in which case it needs repair or replacement. And to add to these roof maintenance issues, excessive debris on tile roofs can inhibit roof drainage at key areas, leading to roof leaks and roof damage if left uncorrected. Composition shingle roofing systems are generally low maintenance. They have great fire resistance properties and are Class A fire rated. They are available in a variety of warrantied lifespans, and are an attractive, reliable San Clemente home roofing system. However, they do have a common problem. Over time, composition shingle roof ridge caps tend to fail, providing a point of entry for water in rainy and foggy weather. This water then seeps down the roof's slopes beneath the shingle layer, and leaks through the roof through roof fastener holes and areas surrounding roof penetrations. 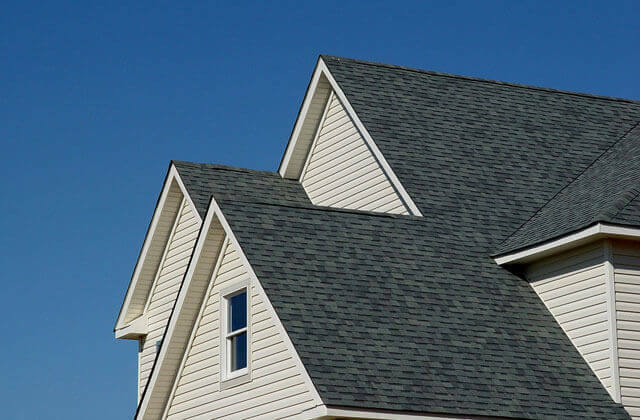 Due to this characteristic weakness of composition shingle roofs, it is important that they be inspected by a qualified roofing professional on a regular basis, to avoid the roof issues that can develop with ridge cap failure. Gravel and Cap Sheet flat roofing systems tend to have drainage problems, and need periodic preventative roof maintenance services to check for roof damage and keep roof leaks from forming because of this damage. Wind, rain and foot traffic can dislodge the gravel layer exposing the hot mop surface, and can damage cap sheet seams, enabling water to seep under the cap sheet and cause bubbling. These bubbles can then break due to foot traffic or rough weather, with disastrous consequences when ponding water becomes an issue during foggy or rainy weather in San Clemente. Then, we will give our professional recommendation for any other roof repairs which may be needed to promote your San Clemente home's roof function and health over the long term, and provide a free written estimate on these repairs. A roof's drainage system is key to the roof's performance over time, and a poorly functioning drainage system can lead to significant problems in San Clemente roofs. A good roof drainage system removes water from the roof's surface quickly and efficiently, and prevents water ponding. A roof's drainage system is made up of drain openings and scuppers, gutters, and leaders, which facilitate the water's removal from the roof. And even flat roofs have drainage systems, and are typically slightly sloped to promote roof drainage. Many roof issues that arise are caused by poor roof drainage. Often roof drainage systems are badly designed, or are installed incorrectly. For example, some roofs have too few drains, or the drains are not located in the correct areas. Also, sometimes there are no overflow scuppers installed at roof parapet walls, and defects like loose or missing drain clamping rings. 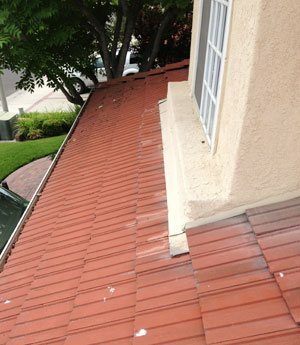 The performance of routine, preventative roof maintenance can prevent many San Clemente roof problems from developing. 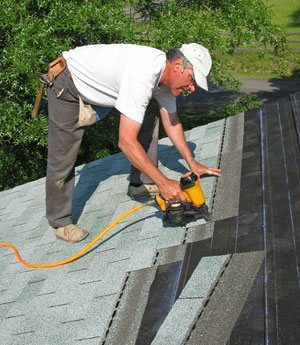 There are many reasons that roof repairs are required, and lack of roof maintenance contributes to the severity of roof problems, because lack of maintenance leads to the failure to diagnose and remediate roofing problems in their early stages, before they have the chance to develop into major issues. The failure to find and correct minor roof deterioration in the earliest stages is probably the greatest cause of premature roof problems. 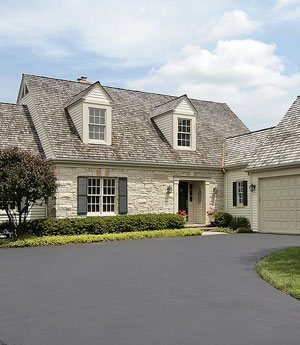 This is particularly true of roofing materials applied on relatively low-sloped roofs. Then, following this inspection, we will recommend any necessary roof maintenance and repair services for your San Clemente home's roof, and include the price of our affordable roof inspection fee in our free roof maintenance and repair estimate. 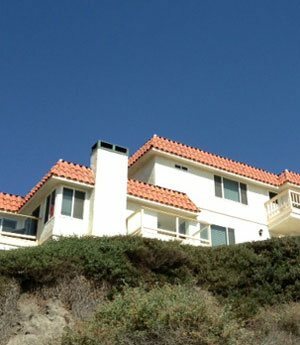 Call San Clemente's Roof Repair & Maintenance Specialists: S&L Roofing. 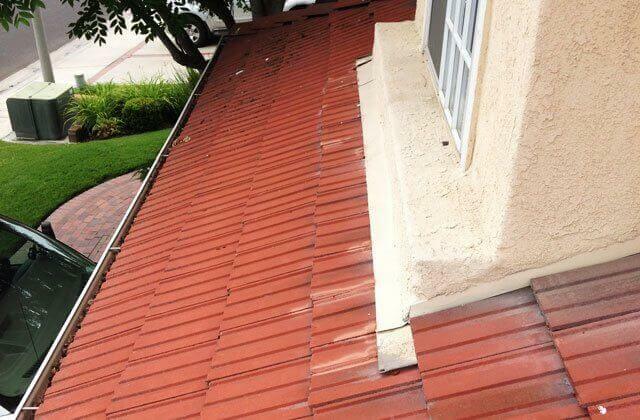 Rely upon S&L Roofing for affordable home roof maintenance and repair services in San Clemente. We service all of South Orange County, and provide free onsite repair estimates throughout our service area. Call us today.